One of the most common reasons that pets end up in the veterinary hospital or ER is due to vomiting and diarrhea, known medically as gastroenteritis. While trauma and poisonings are common and more dramatic, this sometimes simple, sometimes complex condition accounts for a big percentage of veterinary visits. In some cases, the cause can be serious, elude diagnostics tests, or require hospitalization or surgery. Luckily for many cases, the cause and treatment are simple, and management can be completed at home. Your vet can help guide you through the steps needed to determine the cause and the best course of action, and some of the information here will help you decide what's best for your pet before a visit. Clearing the Air: Are Dental Treats Enough? Could your dog's breath melt your glasses? Does your cat's smile look like five miles of bad road? Stinky mouth odor not only interferes with how you interact with your cats and dogs, it points to potentially painful, dangerous pet dental problems. February is National Pet Dental Health Month and a good time to check out your pets' pearly whites. When you go into the dental aisle at your local pet retailer, you're faced with a whole host of choices. Toys, specially-designed treats and dental appliances like toothbrushes and dental wipes are all vying for you attention - and your dollar. So which of these are worth the effort, and which are just hype? Read on to help make some sense of the issue. Does your dog play around in the mud in your backyard? How about the pond at the dog park? If your dog plays in standing water, learn how to prevent an infection in you or your dog and stay safe at the dog park. Are Some Dogs at Risk for Dental Issues? A number of factors contribute to canine dental disease, including breed, size, age, and chewing habits. Does your dog meet the criteria on this list? Learn about the risk factors and how to prevent doggie dental issues. Many cats love to be outside. There's a lot to do and so many fun places to explore. But the life of an outdoor cat can be risky. There are dangers found outside that do not exist in the protected home environment. Learn about the dangers of having an outdoor cat and what you can do about them. Urinary tract infections (UTIs) are a relatively common occurrence in dogs and cats. Infections in the urinary tract can occur in the bladder or can become serious and involve the kidneys. Most pets with urinary tract infections will have fairly classic symptoms and most UTIs can be treated relatively easily. 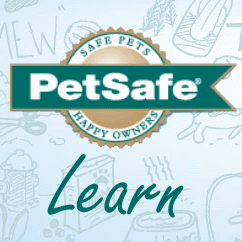 Learn more about improving your pet's urinary health and preventing and treating UTIs.